I was searching the internet this week for any mention of a translated book I’m waiting for. It’s my own translation, not yet published. The publisher, Michelle Lovi at Odyssey Books, has been working on it, so I wondered if she’d mentioned it somewhere online. Hooray! 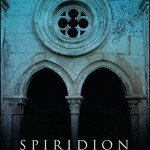 My search produced a result: I found a cover on Booktopia, and a chance to pre-order the whole book. The link is here. 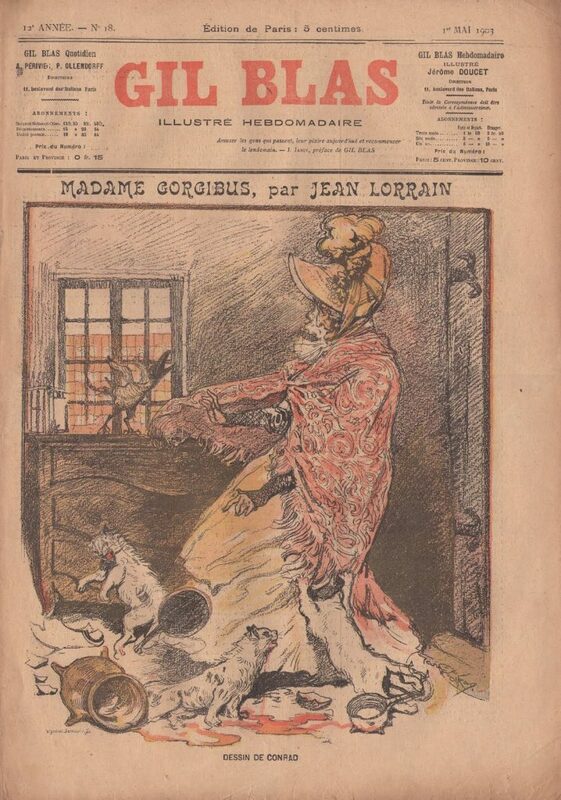 The stories are from Jean Lorrain’s small collection, Contes pour lire à la chandelle, first published in 1897 though most of them had appeared in illustrated journals in the previous ten years. A few of these 19th-century illustrations can be seen in my blog posts here, here and here. The new book will also be illustrated. The silhouette images on the cover give a clue to what will be inside, but they’re not yet ready. You can imagine how eager I am to see how they look! Back in 2016 I had a translated story published by The Cossack Review. I’ve just learnt that this journal exists no more, it has gone the way of a good percentage of literary journals. The story is ‘Joseph Olenin’s Coat’ by Eugène-Melchior de Vogüé, a quirky tale about a lonely man in an isolated wintry part of Ukraine, who loses a coat, finds one, and falls in love with it. My translation was published in a print journal and, fortunately, I have a copy of it. It was also available online for a time, but has now disappeared. The editor, Christine Gosnay, had asked me some questions for an interview, and those questions and answers are still there, albeit in a basic format without the styling of the original web site. It would be a good idea, I think, to re-post the interview here. TCR: What are you reading now? Patricia Worth: Tales of Hans Christian Andersen translated by Naomi Lewis. And All the Light We Cannot See by Anthony Doerr. TCR: How and where did you find out about de Vogüé’s work? Patricia Worth: A library at the Australian National University has a collection of old French literature that hasn’t been borrowed for decades. 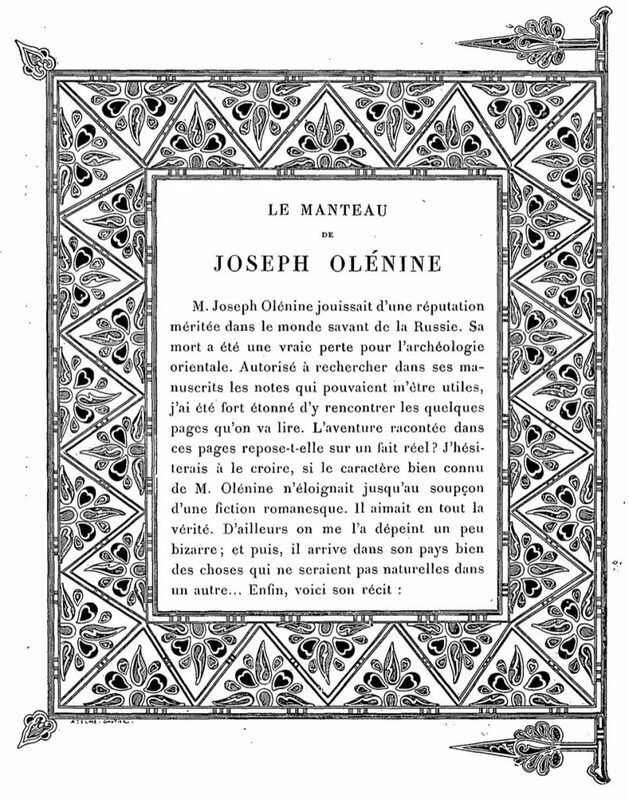 Here I found a small dusty book of short stories by Eugène-Melchior de Vogüé (whom I’d never heard of), and chose it simply for the title ‘Nouvelles orientales’, a title invented by a publisher. Expecting Orientalism and hot Middle Eastern settings, I found instead stories set mostly in wintry Russia and Ukraine. They are nonetheless fascinating. 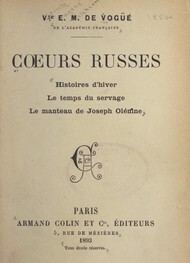 Several had originally been published in de Vogüé’s collection, ‘Les Coeurs russes’ (Russian Hearts), and a few were translated in 1895 as ‘Russian Portraits’, a translation which did not include “Joseph Olenin’s Coat’. 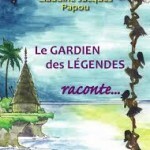 TCR: Do you plan to translate any of his other stories? Patricia Worth: I have translated all the stories in ‘Nouvelles orientales’. 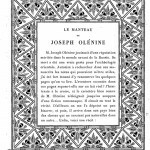 TCR: How long did it take you to translate “Joseph Olenin’s Coat’? Patricia Worth: As I translated the whole book of ten stories, it’s hard to say how long it took me for each one. But, in general, a rough translation of a short story takes me a few days, and then I polish it for a few months, researching details, asking experts for help and getting people to read it and comment. TCR: Can you describe your process for taking somewhat antiquated work from one language to another, especially with respect to diction and tone? Patricia Worth: De Vogüé was strongly influenced by Russian authors like Turgenev, and as a literary translator I have long admired Constance Garnett’s translations of Turgenev’s short stories, so I looked to her example when working on de Vogüé’s stories. For Garnett, less is more. She generally writes with fewer syllables and fewer words than other translators. In Turgenev’s “The Tryst’, for example, Garnett writes “the hue of an over-ripe grape’, where a modern translator writes “which resembles the colour of overripe grapes’; or “Not one bird could be heard’, against “There was not a single bird to be heard’. When I consider the readability of my work, hers is the brevity I come back to. It’s also good to read modern English authors who have created a sense of another time, like Joan Lindsay and her ‘Picnic at Hanging Rock’, published in 1967 but set in 1900, or J. L. Carr, ‘A Month in the Country’, published in 1980 but set in the years after the Great War. These two have also taught me much about making every word count. Of great help, too, are readers of my drafts who are familiar with older texts. 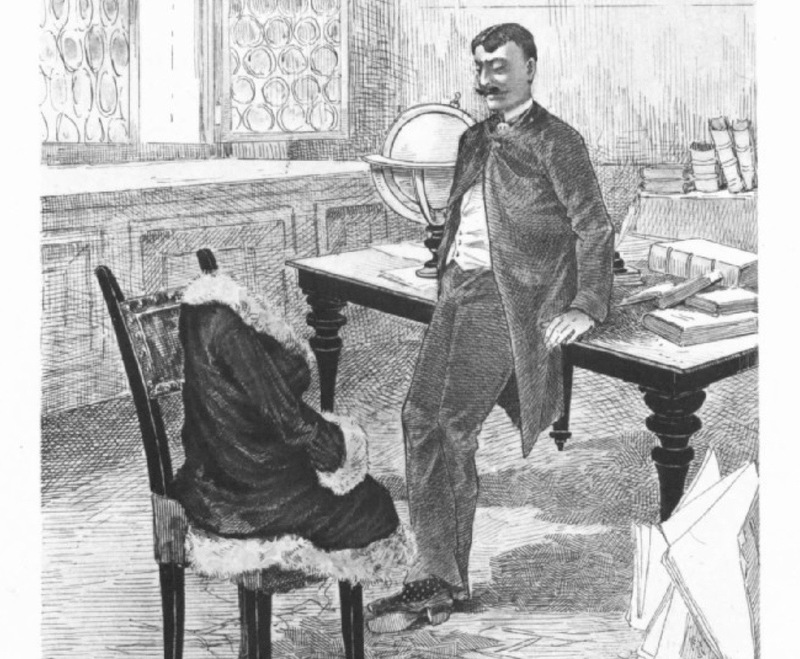 For “Joseph Olenin’s Coat’ a French friend pointed out the subtle words that alert a native speaker to the spirit in the coat that enters Joseph’s life and obsesses him against his will, and to the superior tone used by the Countess when addressing Joseph. A local writer and translator of Proust who reads most of my work also offered corrections and suggestions to take my diction back in time (for example skating, not ice-skating). When I find myself stuck in today’s English, help is available by entering a French phrase into a search engine which can trigger old pieces where the words are used in other contexts. The search might even produce helpful French translations of English classics by, say, Dickens or H.G. Wells, and then I look for the phrase in the original, and use a variation of it. There are also a number of French and French-English dictionaries from the 1700s and 1800s freely available online; these are invaluable for learning the former meaning of a word. Of course, I read, read, read nineteenth-century English literature, the Brontë sisters and Thomas Hardy among many others. TCR: Who has had the biggest influence on you as a writer? Patricia Worth: For translation, I’ve been influenced by the various translators of Hugo’s Les Misérables as well as Constance Garnett’s translations of Russian literature. For writing in general, I find Charlotte and Anne Brontë’s novels compelling, and hold them as my standard. I was also influenced by my father, a volunteer soldier, who wrote poetry in Egypt in 1941. 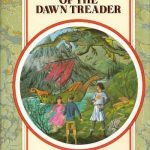 TCR: What authors do you re-read? 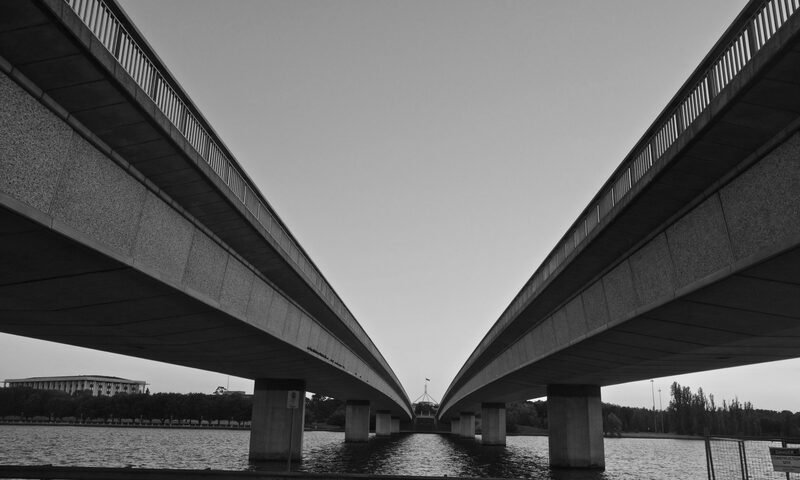 TCR: What is your next writing project? Patricia Worth: I’m presently translating a book of French fairy tales. PS: I’m surprised to read that I was translating the fairy tales when I responded to this interview. Those fairy tales, Stories to Read by Candlelight, are presently on the production line and should be appearing some time before June this year. I’d forgotten how long I’d been working on them. Never would I have translated Jean Lorrain if I knew then what I know now. But that’s the beauty of reading a good book. The reader’s relationship is with the book and the story it tells, not its author. 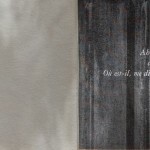 There’s much I could write about Jean Lorrain that would turn you away from all his work. But as a translator, I choose the writing, not the writer. 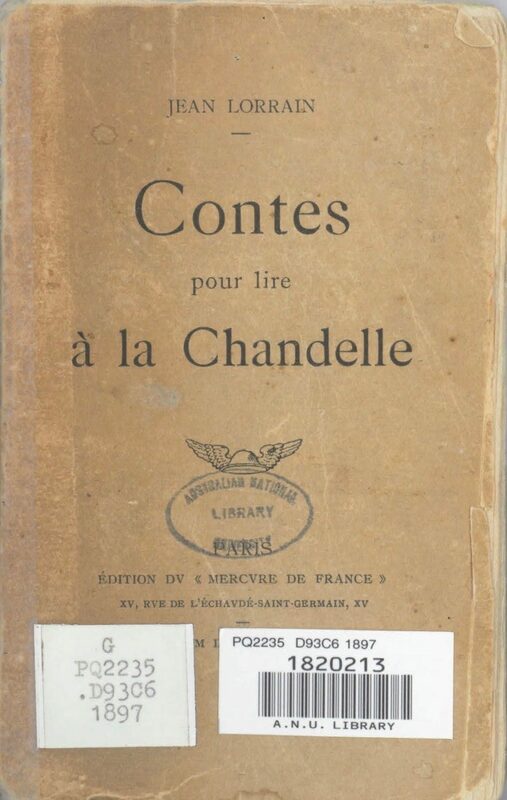 After I’d read his little collection, Contes pour lire à la chandelle (Stories to Read by Candlelight), certain pieces stayed with me and compelled me to read them again. Before I knew a thing about Lorrain, I was touched by the sympathy he expressed for some of the underdogs of his society, like the odd old woman in ‘Madame Gorgibus’ and the trapped beauty in ‘Princess Mandosiane’. A brief bio: Jean Lorrain was born Paul Duval in 1855 and died of decadence in 1906 at the age of 51. He was the only child of a family of wealthy ship-owners. In 1882 he decided to become a writer, disappointing his father who suggested he take on an alias to avoid bringing shame on the family, thus Jean Lorrain was invented. He was a much-published journalist, poet, novelist, and sharp-tongued critic of his decadent peers, despite belonging to their circle. While his work was well-known in his lifetime, much of it has been forgotten and will probably remain forgotten. But the stories I’ve selected to translate are worth resurrecting for their exquisite prose, particularly some that are in a category entitled ‘Tales for Sick Children’, that are quirky but not decadent like his novels. Their expression is nostalgic and aesthetic, typical of Belle Époque symbolists who rebelled against modern technology and yearned for a return of medieval days and characters in flamboyant gowns and armour. His tales of knights and princesses, ghostly girls and frightful animated crockery are as masterfully worded as our favourite mythical adventures. 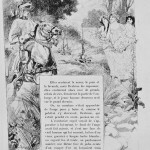 What really clinched it for me were the illustrations accompanying several versions in issues of La Revue illustrée and Gil Blas, like the one above. Many of Lorrain’s stories were beautifully illustrated in the art nouveau of the era, not only in journals but also in deliciously decorated books. See this website for some excellent images from his books. Now, she lent her ear to the counsel of the red mouse, an insidious little mouse, fast as lightning, persistent and wilful, who had haunted her for years. 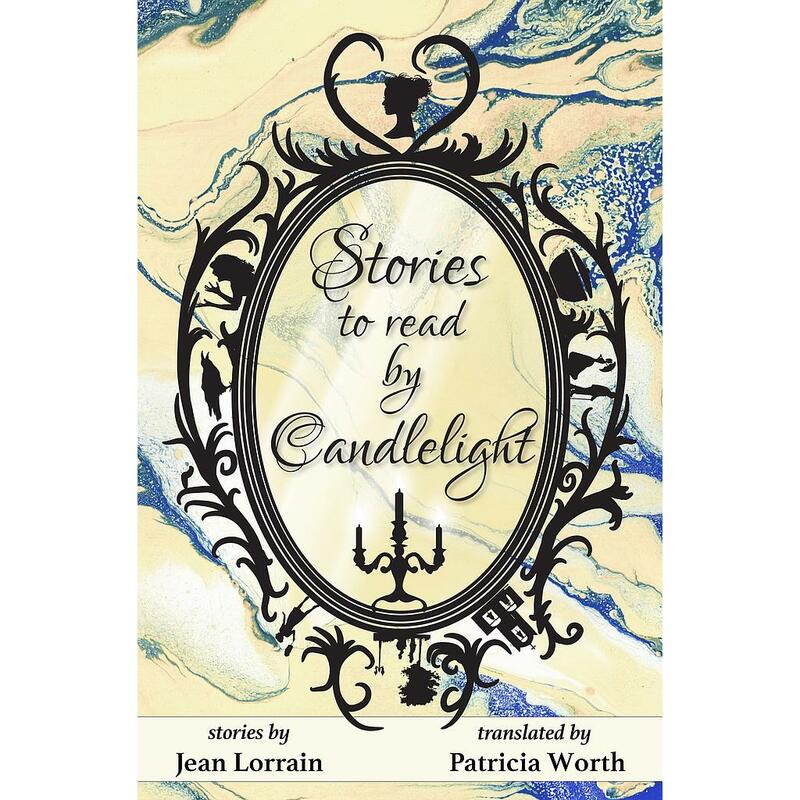 Several of my translations of his stories have been published in journals in recent years, but soon the whole collection, “Stories to Read by Candlelight”, will be available. 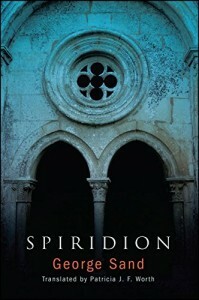 It’s presently being prepared for publication by Odyssey Books, a small Australian publisher. A few weeks ago I wrote about the French author, Eugène-Melchior de Vogüé, whose stories I’ve translated (at least, a few). Today I’ll give you some titbits on de Vogüé’s contemporary and fellow countryman, Catulle Mendès, a turn-of-the-century writer who believed in the wonder of imagination to help readers through the barren polluted landscapes of modernity. 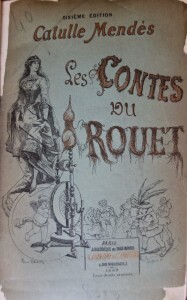 Some years ago while on holidays I translated a book of short stories by Mendès called Bluebirds (in English), which was a rejigging of his collection Les Contes du rouet (Spinning Wheel Stories). It was an enjoyable time-filler and since then I’ve submitted several of the translated stories to literary journals and had them published. Many of them are available online for free! (See my list of his stories and click on the titles to see which ones are freebies.) 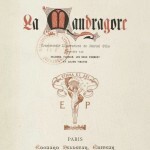 Once you’ve read them you’ll probably want to know more about Monsieur Mendès. What sort of man wrote these witty fantasies? 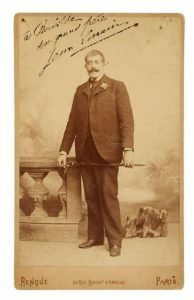 A brief bio: Abraham Catulle Mendès was born in Bordeaux, France, in 1841, to a Portuguese Jewish father and a French Catholic mother. He moved to Paris at 17. His first marriage was in 1866 to Judith Gautier, a daughter of the poet and novelist, Théophile Gautier. Théophile did not attend the wedding, having heard that Catulle had had an earlier mistress and children and was a man of uncontrolled lust. 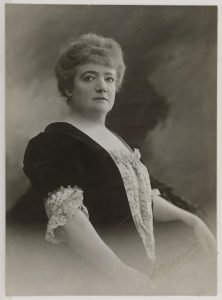 Judith and Catulle separated and Catulle returned to his mistress, Augusta Holmès, a prolific composer who also had time to give him eight children during and after his marriage to Judith. 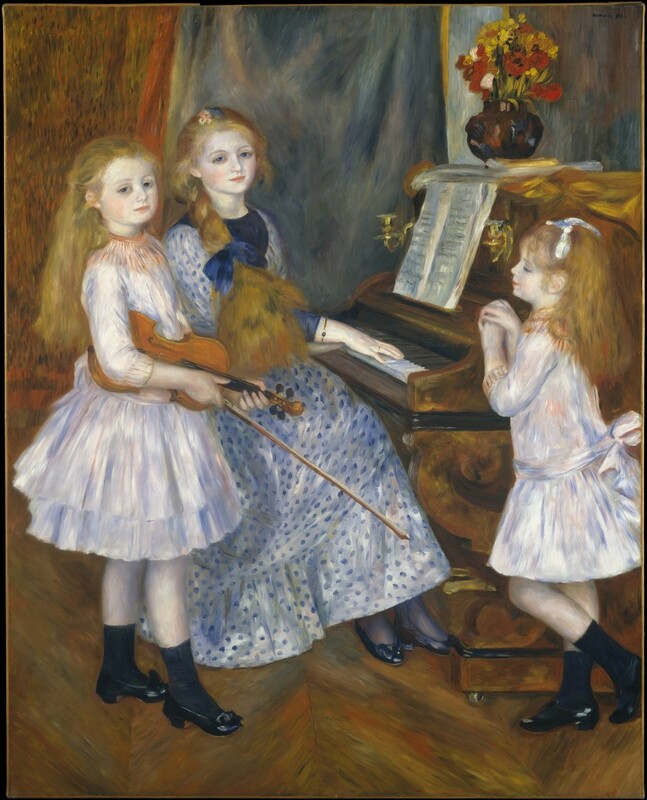 Three of them are portrayed in a famous painting by his friend, Auguste Renoir: The Daughters of Catulle Mendès (1888). He died in a horrific accident in Paris in 1909 when he apparently inadvertently stepped out of a moving train and fell partly onto the track and under the wheels. 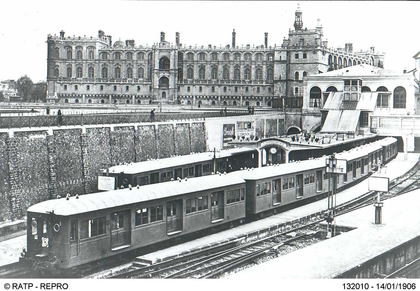 His body was discovered near the Saint-Germain railway tunnel the next morning. He has been described as versatile, prolific, superficial, a poet, critic, novelist and writer of fairy tales and licentious stories. As a young writer newly arrived in Paris, he started a few small magazines in which he pushed the boundaries of decency and published immodest writings that landed him in jail for a while. I don’t tend to translate these. Mendès deserves to be read. Read him. 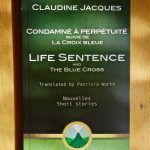 For the past eight years I’ve been translating the writings of a small handful of French authors, and I’ve come to know them quite well. On my ‘Translated Short Stories’ page (see above) there’s a list of titles mostly from 19th-century metropolitan France, with a few from 21st-century New Caledonia. 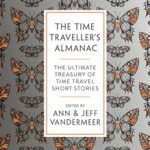 I took a look at the groupings under author names, and realised that readers might like to know more about each individual writer. So, here I go: today I’m starting with Eugène-Melchior de Vogüé. It’s been many years since I first translated his stories, yet I still enjoy them today. He’s an author whose books have sat, ignored, on shelves in bookshops and libraries, but they ought not to be collecting dust; they deserve to be read. His writing has taught me much about Russian and Middle-Eastern history that influences the way I hear today’s news from those parts of the world. In his fiction, de Vogüé makes me aware of what has changed, and what, unfortunately, hasn’t. 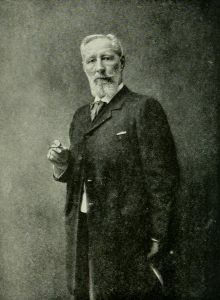 A brief bio: Eugène-Melchior de Vogüé was a viscount born in 1848 in Nice; he died in Paris in 1910. His father belonged to one of the oldest French noble families; his mother was Scottish. 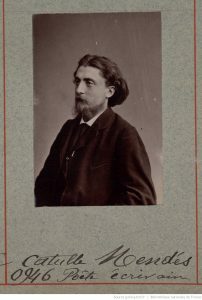 In his day Eugène-Melchior was famous for bringing the literature of Russian writers to French readers in his 1886 book, Le Roman russe (The Russian Novel). His introduction of Pushkin, Gogol, Dostoevsky, Turgenev and Tolstoy revealed to new readers the intellectual and spiritual richness of the Russian soul. 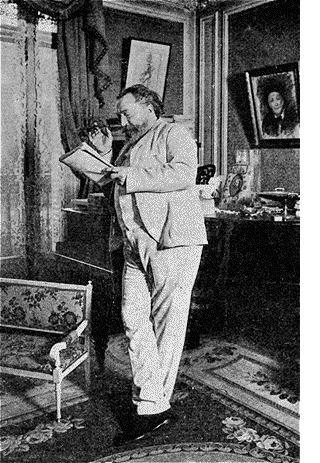 His love for Russian writing developed during his appointment as a French diplomat to St Petersburg from 1877 – 1882, and his interest really bloomed with his marriage to a Russian aristocrat in 1878, and with later time spent in Ukraine. Previously he’d had diplomatic postings to Constantinople and Egypt and had written accounts of his experience there in various Oriental tales. ‘Syrie, Palestine, Mont-Athos’ and ‘Vanghéli’ were just two. 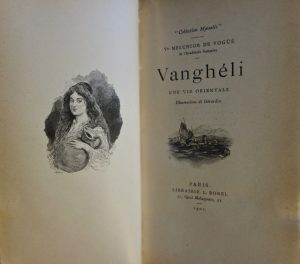 Vanghéli, E-M de Vogüé. A small book I’ve translated but not published. But once he’d fallen in love with a Russian and Russia, de Vogüé developed a desire to help France, to save her from literary, political and spiritual crises. This desire is a thread running through all his writing. He believed his country could be saved by adopting the sentiments found in Russian orthodoxy, such as sympathy and love. In 1884 he began publishing short stories set in Russia and Ukraine, in a style influenced by Turgenev. One I’ve translated and published, ‘Histoires d’hiver’ or ‘Winter Tales’ is a long short story that appears at the beginning of the collection, Cœurs russes (Russian Hearts). 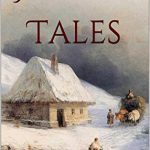 It’s a nest of short tales told to the narrator during his visit to a friend, Michaïl Dmitrich P— , a landowner who has invited him on a wolf hunt in provincial Russia. 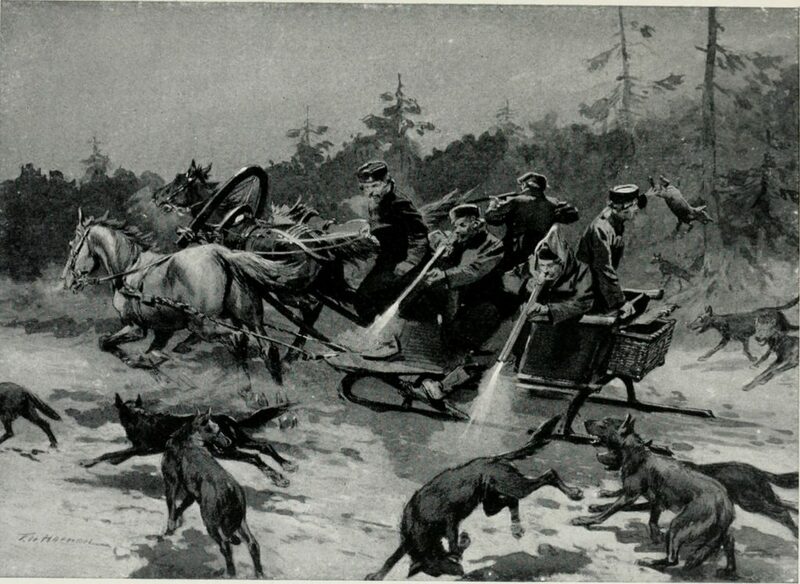 A Wolf Hunt in Russia, c1913. Courtesy Wikimedia Commons. 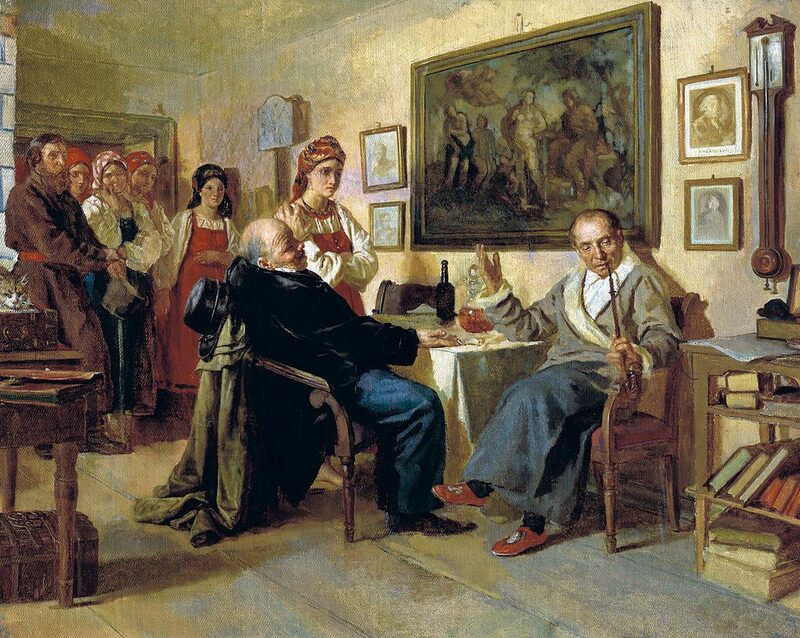 Nikolai Nevrev, The Bargain. Sale of a Serf Girl. 1866. Courtesy Wikipedia. He devoted himself to the study of economic questions, that is, he mulled them over, smoking his pipe and discussing them for entire evenings with the Maréchal de Noblesse or the justice of the peace. The first being a ferocious reactionary and the second a confirmed red, Mikhail Dmitrich had for each problem an authoritative solution and a liberal solution which prevailed by turns in his mind, depending on who had spoken to him the day before. When he was too troubled by the contradictions of social problems, Monsieur P— would read over a chapter from Kant or the ‘Introduction to Negative Synthesis’ by Professor Verblioudovich. His mind if I may say found a digestive aid in these readings, a mixture of something both soothing and lightly stimulating, of the kind an after‑dinner cigar provides. His intelligence enjoyed these vapours of thought as his body enjoyed the vapours of the Russian bath, in the lukewarm atmosphere which is neither water nor air, but a soft fog. You can find this little ebook or paperback, ‘Winter Tales’ , at Amazon. I’ve also published it as an ebook with Kobo Writing Life. If you’d like a free taste of de Vogüé, my translation of his story, ‘Joseph Olenin’s Coat’ is available online at The Cossack Review here, where you can read about a lonely man in a cold and isolated part of Ukraine, who loses a coat, finds one, and falls in love with it. To finish my praise of Monsieur de Vogüé, I must mention a new book by a French researcher, Anna Gichkina, just published in 2018: Eugène-Melchior de Vogüé ou comment la Russie pourrait sauver la France. (E-M de V or How Russia could save France). It’s on my To Read list. ‘Bitter Secrets‘, believe it or not, is my Christmas present this year (I’m hoping it’s not the only one). It’s my translation of ‘Secrets amers’ by Claudine Jacques, and today it has been published in the latest issue of Transnational Literature at Flinders University, Adelaide, (despite the editors having, just days ago, told me they’d forgotten to read it and therefore had to reject it). Yesterday I got a surprising message to say they’d quickly retrieved it, read it, liked it and wanted to include it. And since it’s an online journal, they could slip it in at the last moment. 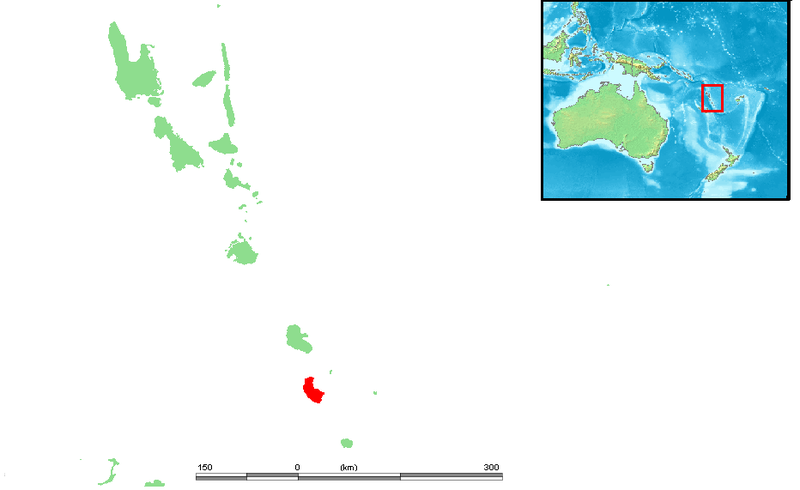 The setting for the story is the island Tanna in Vanuatu. 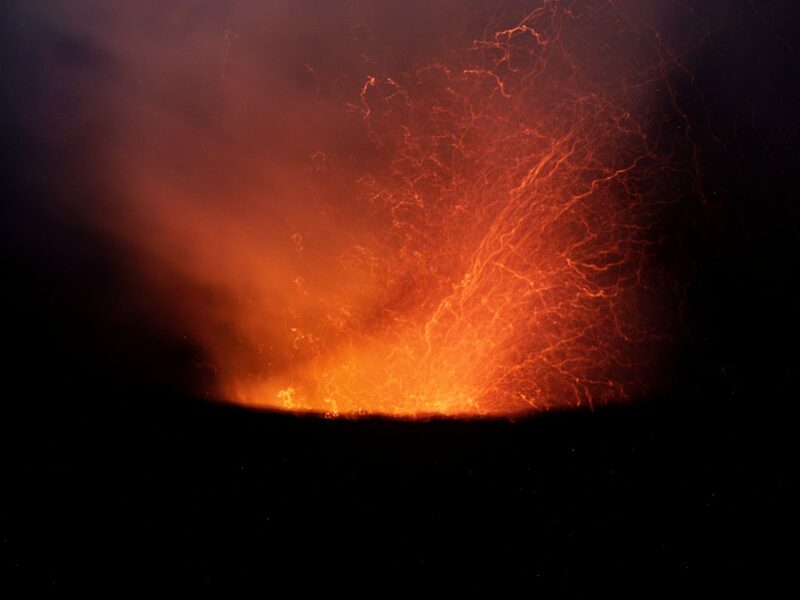 If you like a story with a volcano, some white commerce, and a romance accompanied by unresolvable cultural conflict, then this one is for you. And you can read it for free! An Australian-made film, Tanna, and Claudine Jacques’ ‘Bitter Secrets’ are surprisingly alike, though she had written the short story several years earlier. 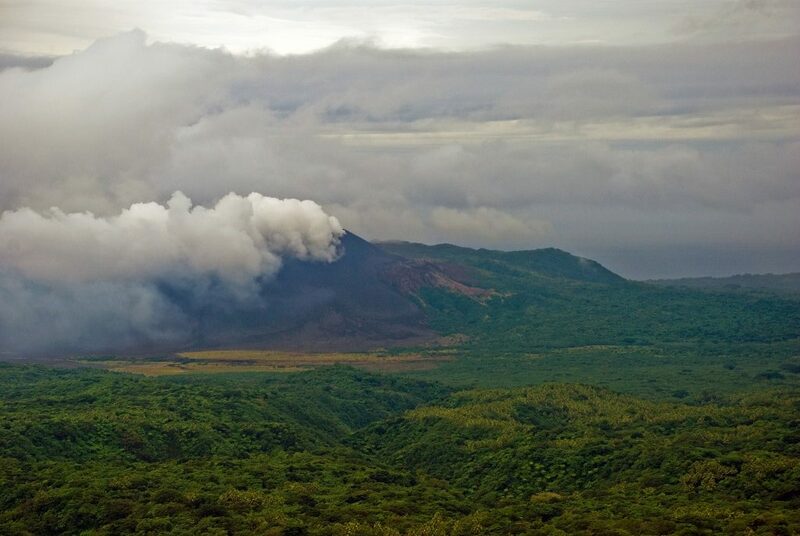 The film’s setting is Tanna, there’s a volcano, and it deals with lovers who cause conflict among their people. Even if the film is based on a true love story, the similarities between the two make me wonder if the filmmaker, Bentley Dean, had read the original in French. By coincidence this film was shown here in Australia on SBS on Saturday night, just after I’d received the message about my translation being published! Merry Christmas to all of you who read my blog posts. May you be blessed greatly in 2019. I’ve been keeping an eye on a web site called Fairytalez for most of this year with some enjoyment and a certain degree of frustration. It’s an appealing site with a variety of illustrations and a mass of information related to classical fairy tale telling and tellers. There’s an invitation to readers not just to read fairy tales from all over the world but also to publish their own. Once it was fixed I asked my question, and I got a Yes! 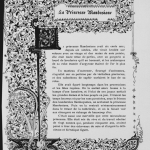 Today I submitted a tale that includes the mandatory fairy, ‘Golden Kisses‘, originally ‘Baisers d’or’ (1885) by the French author Catulle Mendès. It’s a delicious little piece about two musical starvelings who grow up together yet alone, for they have no family or friends. They discover the pleasure of kisses and are happy enough with their poor but simple life until a fairy, out of pity, offers to change things. You’ll find ‘Golden Kisses’ under this banner on my Fairytalez profile. Illustration by Kay Rasmus Nielsen. I’d be extraordinarily happy if you read it and commented below. 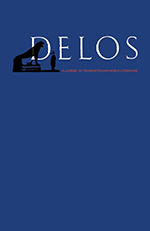 Today I can say, at last, that my translation, ‘The Wolf’, by Marcel Aymé, has been published by Delos Journal at the University of Florida. 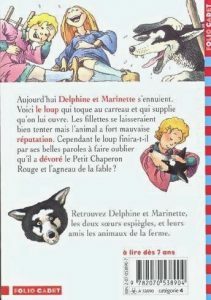 I came across the original story, ‘Le Loup’, one lunchtime as I was eating my sandwich in the sun. 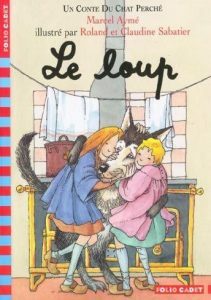 It’s rare for a story to keep me reading all the way to the end in one sitting, but ‘Le Loup’ did it for me. When I’d finished the story, and my lunch, I began translating it immediately. That was a couple of years ago. Publication of the piece has been a long time coming. In the world of literary translation and publishing (or any writing and publishing really), progress is often at snail pace and this is a good example. First there was the enquiry to the French publisher, Gallimard, to see if the rights to publish a translation were available. Months passed without a response, but prompting them brought a yes. Second, there was the submission to journals. Many journals said No. But Delos said Yes! That was two yeses! Then it was back to the French, who in turn had to put the question to the rights holder of Marcel Aymé’s estate. It was the beginning of a looooong negotiation process to buy the rights. Three months I waited, anxious that the journal might give up. There was no response. Weeks passed again while we waited for a response from the rights holders. Finally they quoted a price so high that I was sure my translation would really never see the light of day. Now, in the world of literature there are people who care, good people, and one of them came to my rescue with some of the funds, but it wasn’t enough. I scraped together a bit more, and made an offer to the French. And waited. Again. The journal deadline came and went, I had no response to my (low) offer, and Delos and I agreed to drop the whole project. Then, that very night, there was a miracle. The rights owners accepted my figure, and it was full steam ahead for ‘The Wolf’. 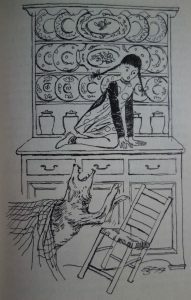 But for the Delos issue, the editor’s daughter drew a terrifying image in pen and ink of the wolf chasing two small girls, which now accompanies my new translation. I can’t show you; it’s in the journal which is behind a paywall. But I read some pieces from archived issues when the journal was free, and can recommend it. The table of contents for the latest issue is here. The next translation to be published will be a whole book of stories from the Belle Époque, currently being prepared for publication by Odyssey Books. Again, it’s taking a long long long time. Early next year I expect it to come out. I’ll keep you posted. Booksaremyfavouriteandbest invites us each month to find six degrees of separation between books. 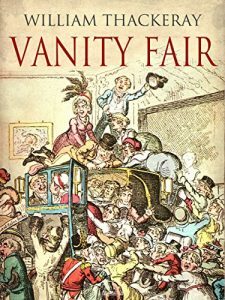 November’s starting point is Vanity Fair by Thackeray. 2. 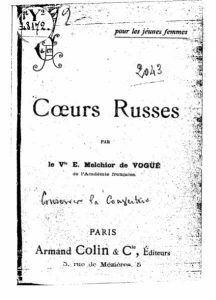 Thinking of Spiridion leads me to Cœurs russes (Russian Hearts) by Eugène-Melchior de Vogüé which I’ve also translated. 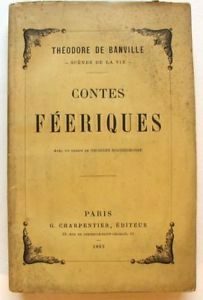 It’s a book of short stories written by a French ambassador to Russia in the 1880s, set in Russia and written in the style of Turgenev and Tolstoy. 3. 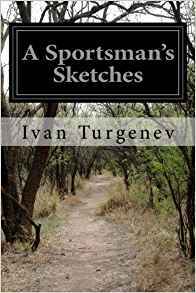 Now I’m remembering the pleasure of reading A Sportsman’s Sketches by Ivan Turgenev, especially the short story ‘The Tryst‘. 4. I’ve used ‘The Tryst’ several times when tutoring migrants in English because of its delicious descriptions. 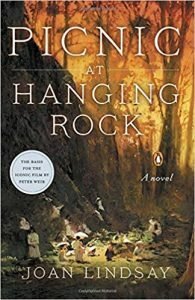 One student who enjoyed it has now asked for us to read Picnic at Hanging Rock together. I can’t believe my luck, I love this book. 5. Of course the images in my head now are from the movie of the same name, where floaty, pure, muslin-robed girls wander over forbidding boulders, as though returning to their fairy homes. This triggers a memory of Théodore de Banville’s story ‘L’Enfant bossue’ (The Hunchback Girl) in Contes féeriques (Tales of Faerie) about a convent girl who wants to return to her fairy parents. 6. 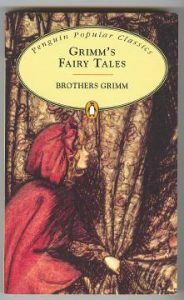 I’ve got fairies on the brain, having translated a great number of French fairy tales in the last few years and read several illustrated books of Grimm’s Fairy Tales. Four of these six books are collections of short stories, which says something about my translating life: stories are more likely to be accepted by publishers than novels. But they’ve made me love 19th-century literature even more. 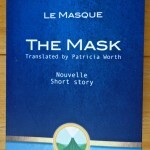 I have another translated short story to announce! 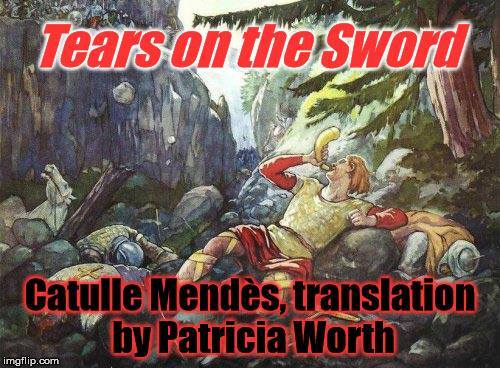 Six months ago my translation of ‘Les Larmes sur l’épée’ by Catulle Mendès – ‘Tears on the Sword’ – was accepted by the Agorist Writers Workshop for the anthology FairyTale Riot. At last! It’s available as an ebook or print copy here: Amazon. The Agorist Writers Workshop is a small group of liberty-minded individuals with an interest in creative writing. (I’m not sure what ‘liberty-minded’ means but I’m definitely interested in creative writing!) This is their 4th anthology. Fortunately for me they were looking for fairy tales, fables and folklore, and I happen to have a stash of them in my metaphorical bottom drawer. It was a big thrill to find an anthology seeking my kind of story and a bigger thrill to be accepted. They even found an illustration appropriate to the story and put it on Facebook: Roland, the protagonist, a fabled heroic figure of French history, is blowing his horn to call for help when almost all of his men are dead. While Roland in ‘Tears on the Sword’ doesn’t blow his horn, the image on Facebook is nevertheless of Roland and his dead soldiers. It’ll do. Roland’s story is composed of a little truth and much invention. His sword, Durandal, was so strong that when Roland worried that some other soldier would take it after his death, he cried over it and tried to break it on a solid porch step, but the sword broke the step! Durandal remained undamaged. But in Mendès’ tale, Roland cries over the sword for a different reason. Read it in FairyTale Riot and discover why he cried and what the connection is with liberty-seekers.